November 5, 2018 | Filed under: Current Articles,Featured | Posted by: Alex A. “What. Is. This?” That was the first thought that ran through my mind as I stared down at the jumble of lines and maneuvers on the piece of paper my coach had given me. I took a deep breath, sat down, and began to decipher the mess that seemed to glare back at me. In an attempt to take it all in, I began to analyze the lines, only to find that it was impossible to determine where one line ended and another began. As a result, I turned my attention to the directions below the graphic. Enter without stirrups. Great, this pattern was getting more and more terrifying by the second, and I still had no idea which side of the cone I was supposed to be on. 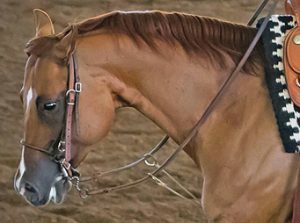 When showing on the AQHA circuit, the longest pattern (with the exception of the Youth World Show) probably takes around two minutes to complete. I soon came to realize that collegiate patterns usually take four to five minutes, from start to finish. That’s almost twice as long. Also, dropping stirrups while on pattern came as a shock to me; because, in years past, the only opportunity I’d been given to show without stirrups while on pattern was at the Youth World. Even so, I’d never seen a pattern that was to be completed entirely without stirrups. Yes, half of the time, judges do ask Horsemanship competitors to drop their stirrups during rail work; but I can say, with confidence, that dropping your stirrups on the rail and dropping your stirrups in the middle of a complex pattern with one obscurely placed cone are two very different beasts.